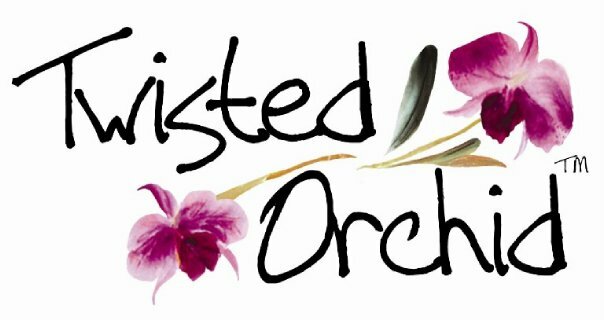 A YEAR OF JUBILEE REVIEWS: Literary Hop- Twisted Orchard Giveaway Hop! Thanks to the hosts Views From the 'Ville and Money Saving Mindy for organizing this fantastic blog hop! I love books and this will be the hop to find some great prizes to go along with those great books! 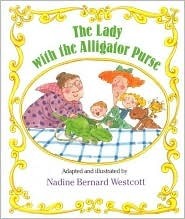 One of my favorite books as a child was The Lady with the Alligator Purse. I even remember singing a song about it on the bus ride to school! To remind you of this wonderful book, Twisted Orchard is offering one of my readers their choice of bag.. Alligator or not!! Up to $75! Which will you choose? "Three times is the charm! Three bags in one adds up to great value, and gotta have it now appeal. Over sized tote that will hold everything you need and then some. It also comes with a zippered second bag to keep inside or use on its own, as well as a small pouch that is great for all those little things you need on hand. Dimensions : L x H x W x 16-24"
I carried this bag to our local movie theater this summer when they had their free children's shows. I am not typically one to carry food into a movie theater, but with a free show, and a thousand kids around I didn't find it to be a problem. This bag held all the candy an a couple soda pops for the kids! It is huge. It is perfect for an overnight bag really! Unless you are a serious girly girl and pack way too much. 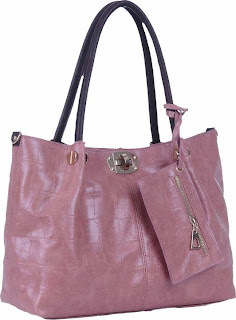 The zippered section is great for putting your wallet, and keys.. things you don't want to get lost in the bottom of your purse. You can take this section out if you want just the larger tote. This would make an awesome carry on purse for an airplane ride! 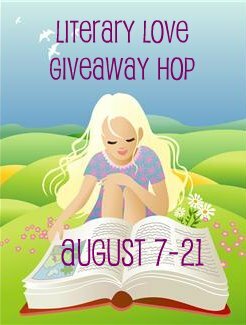 Visit all of my Fellow book lovers to win! You can purchase online at Twisted Orchid or right on the Facebook Page! Harriet the Spy...my all time favorite. I always loved the Berenstein Books! One of mine was "Are You My Mother?" So funny, I see Kay's comment and mine is the same! I bought "Are You My Mother" for my daughter a few years ago. It was my favorite when I was little. I liked the Berenstain Bears- The Spooky Old Tree. The books I read over and over again were "Let's Pretend" about kings, queens and magicians. Also loved all the Louisa May Alcott books as I got a little older. little house on the paririe. I loved the Little House on the Prairie series. Growing up my favorite book was Charlotte's Web. I didn't have a favorite book growing up cause I loved to read so much. I read everything I could get my hands on. I loved the Nancy Drew books. My favorite book was the Poky Little Puppy. R. L. Stine's Goosebumps books! I loved Pippi Longstocking and Mrs. Piggle Wiggle to bits as a kid. The Secret Garden and The Little Princess. I loved the Nancy Drew series! All of the Dr. Seuss books for sure! I loved Beauty and The Beast and Heidi. Thanks for the giveaway. It was a big book with a lot of short stories. My fave was Today I Feel Like a Warm Fuzzy by William L. Coleman. I read it several times. Thanks. The Cat In Hat was my favorite! In 4th grade, I read Scott O'Dell's Island of the Blue Dolphin. And I re-read it several times! When I was very little, my favorite was Green Eggs and Ham. When I was elementary/junior high age, my favorites were the Baby-sitter Club and Sweet Valley Twins. The Giving Tree when I was younger, and then Little House on the Prairie series when I was older. I loved the Fear Street series by RL Stine. I loved Superfudge, by Judy Blume. I like The Pokey Little Puppy. i liked the pokey little puppy and if you give a mouse a cookie! I loved all of the Little House books by Laura Ingalls Wilder. I liked "The box cart Children"
Where the Wild Things are! So cute! I loved Pippi Longstocking. She was my favorite and I loved all her adventures. I loved Le Petit Prince. I loved The Monster at the End of This Book. How the animals get to the zoo! Nancy Drew - I read all the books the library had! My favorite book was Black Beauty. i still love it. My favorite book was Where The Sidewalk Ends! I love the Beige Mad-Versa Bag! I liked the Dr Seuss books! I would read any books anytime.